Notes on Recent Research Regarding Catholicism in the U.S.
"Over the last few decades, large numbers of 'Anglo'—that is, non-Latino—Catholics have been dropping out of or disengaging with the Catholic Church, without being replaced by other Anglo converts" (p. 17)." "The Catholic fraction of the U.S. population has held steady only because the departing grandchildren of white ethnic immigrants of the first decades of the twentieth century have been roughly balanced by arriving Latino Catholics" (p. 160). A key piece of evidence to support this claim comes from Putnam and Campbell's Faith Matters survey. This poll was completed in two waves, the first in 2006 with a follow-up with a portion of the original respondents in 2007. The survey has a very good response rate of 53% and included 3,108 interviews in the first wave. Although I have seen many, including Putnam himself, speak to the groundbreaking nature of this poll there really are multiple recent and historical surveys out there on religion in America with more than ten times the number of interviews. For example there is the cross-sectional study from Pew (Religious Landscape with 35,000+ interviews; followed by Faith and Flux) and time-series from ARIS in 1990, 2001 and 2008 (at 50,000+ interviews per survey). Also, the General Social Survey (GSS) includes an expanisve time series of religious questions asked of more than 53,000 Americans spanning 1973 to 2008. Putnam and Campbell wisely often rely on some these other data sources throughout their book... that is most of the time (see below). Really? Although I do believe the "Latino future" part of this statement (mostly by other means) I don't buy the precision of the data cited nor the unfortunate "white flight" impression they have made with it (this is more a function of immigration, differences in fertility, and generational replacement). Why? This is the one case where Putnam and Campbell disregard all other available data. 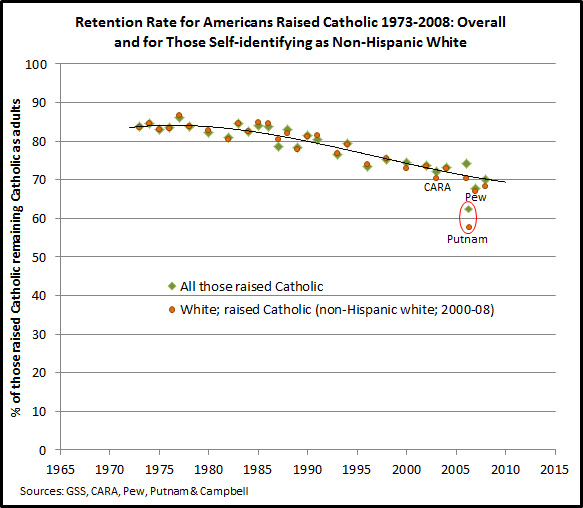 The figure below includes Catholic retention rates overall (green diamonds) and more specifically for white/non-Hispanic white Catholics (orange dots) that are found in the General Social Survey 1973-2008, the CARA Catholic Poll (CCP) 2003, and the Pew Religious Landscape Survey 2007. Note some of these studies were done after Putnam and Campbell's Faith Matters survey. The results for the GSS, CARA, and Pew studies are all within the margin of sampling error and consistently sit along the regression line. This represents an independent and triangulated result. The Faith Matters data for Catholics overall and for non-Hispanic Catholics is a notable outlier. I can find no other study that replicates/confirms the Faith Matters survey estimate of 63% retention among all Catholics and with the enormous 21 percentage point gap in retention between Hispanic (78%) and non-Hispanic white Catholics (57%). In the 2008 GSS, the overall estimate for the Catholic retention rate is 70% with a gap of 7 percentage points between Hispanic (75%) and non-Hispanic White Catholics (68%). In the 2007 Pew Religious Landscape Survey, the overall estimate for the Catholic retention rate is 68% with a gap of 6 percentage points between Hispanic (73%) and non-Hispanic White Catholics (67%). The ethnic gap implied by the Faith Matters survey is exaggerated in comparison to other data sources. It is the case that non-Hispanic white Catholics are declining as a percentage of the overall Catholic population as other segments grow more strongly (through immigration and higher fertility). However, the non-Hispanic white Catholic population continues to grow in absolute numbers and is perhaps only marginally more likely to leave the faith than are Hispanics Catholics. My hunch is that the difference in retention between Hispanic and non-Hispanic white Catholics of 6 to 7 percentage points is related to immigration. Foreign-born Catholics who were raised in a society without the religious pluralism and diversity of the United States may be less likely than those who are born in the U.S. to change their religion even after immigrating here. That may not be the case for the children and grandchildren of immigrant Catholics. I am not implying that the Faith Matters survey is poorly done. However, there may be issues with the sample beyond the control of the researchers. Even a well done study, as the Faith Matters survey appears to be, can suffer from a sample distortion just by random chance. This is why you often see the phrase "95 percent confidence interval" right after the reporting of margin of sampling error. Once in a while, the sample is just off the mark. Given the comparison of results above I believe this is a possibility for Catholic retention rates. American Grace is a solid book but it is not the masterpiece that Putnam's Bowling Alone was (one of my favorite books of all time). I don't know many sociologists of religion who would be surprised by much of the findings in American Grace. But then again Putnam is not a sociologist. He is a political scientist (like myself) and this is a field that has too often taken religion for granted. He deserves much credit for taking this topic on and making this research accessible to social scientists and the general public. When he wrote Bowling Alone he did so in a climate where political scientists were increasingly using economic models and arguments that limited or ignored the role of culture. Putnam, even though he still had his critics, made an effective case that culture matters. In American Grace he has effectively made the case that religion matters as well. In a recent post, we estimated that the Catholic population will likely top 100 million by 2050 and may reach as high as 128 million by that point. We are not the only researchers making this claim. A team of three demographic researchers has published similar estimates in "Secularism, Fundamentalism, or Catholicism? The Religious Composition of the United States to 2043" in the June 2010 issue of the Journal for the Scientific Study of Religion. The first line in this article should be read by anyone who thinks retention and conversion rates tell the whole story of religious change and population growth or decline. Skirbekk et al. note, "Sociologists of religion typically focus on the attractiveness of denominations in the religious marketplace. Yet the main source of religious recruits is the children of communicants" (p. 293). 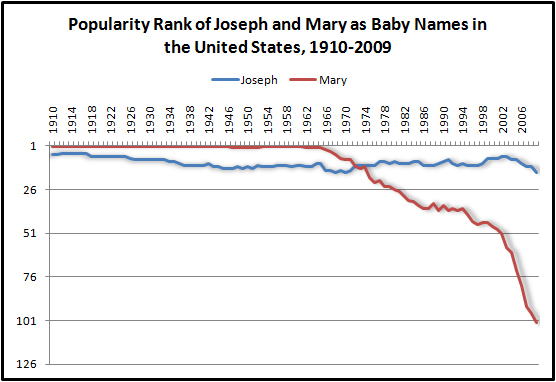 Most Catholics join the Church as infants. 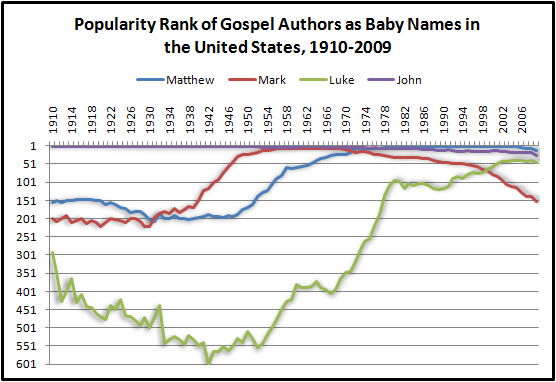 And Catholicism keeps more of these children in the faith than other Christian denominations as they become adults. Factoring in immigration and fertility differences, the authors conclude that "Catholics in the youngest age cohorts will outnumber their Protestant counterparts by 2043 and take over some time in the second half of the 21st century" (p. 303). While I had predicted the upper limit of Catholic population growth would lead to Catholics being about 29% of the population in 2050, Skirbekk et al. expect Catholics to be 32% of the population by 2043 and their upper range estimate for the Catholic population in this year exceeds 160 million (their lowest estimate tops 100 million). Another interesting note in the article is related to the Nones. These are Americans who have no religious affiliation (including agnostics and atheists). This currently is a growing segment of the U.S. population. However, the retention rates for Nones are a rather dismal 47%. Thus, most children raised without a religion end up adopting one later in life. Skirbekk et al. note an additional complication for additional growth of the Nones—they have fewer children than people with a religious affiliation. They note, "The relatively low fertility rate of secular Americans and the religiosity of the immigrant inflow provides a countervailing force that will cause the secularization process within the total population to plateau before 2043" (p. 308).